Hello friends & Embracing Messy readers! I'm so excited to be here as part of the 25 Days of Handmade Christmas. Thanks Kelsey for having me on your blog today! I'm Lindsay, the blogger behind Artsy-Fartsy Mama. I'm a graphic designer and a stay-at-home mom to a very independent daughter. 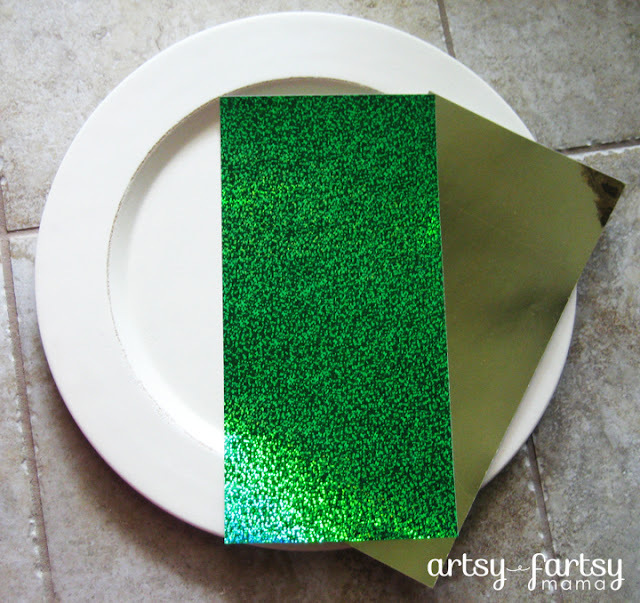 On my blog you can find tutorials for all kinds of crafty things, recipes and more. I love finding ways to be creative while saving money. 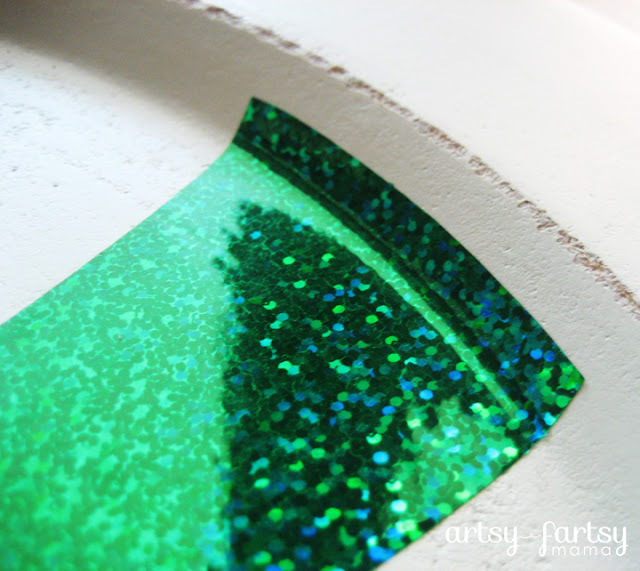 I also have an "Artsy Corner" link party every Thursday, so come share your awesomeness! Enough about me, let's get to some Christmas craftiness!! 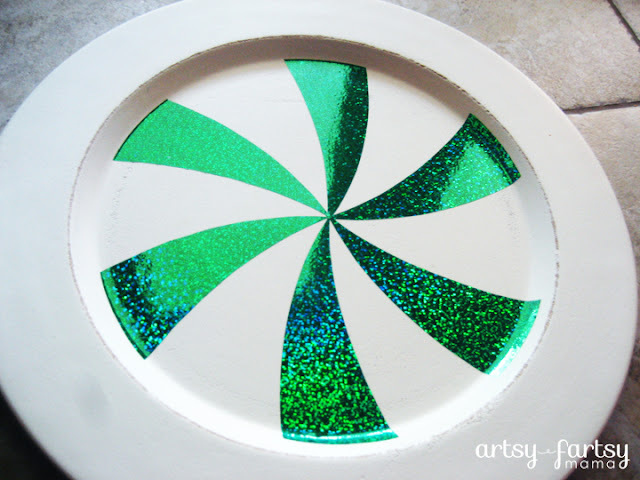 Today I'm going to show you how I made this peppermint-y Christmas plate! 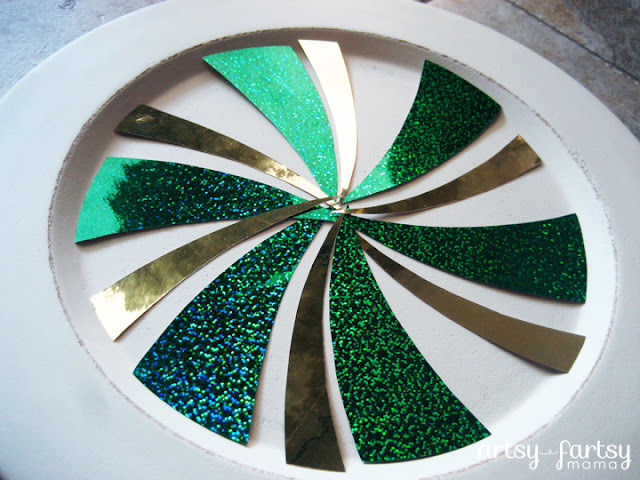 I love everything sparkly and glittery, so this fits in with my decor perfectly. It's a lot easier than you think! It's simple, but I love it!! The sparkly & reflective vinyl are awesome! If you don't have a vinyl cutter, no problem! You could easily draw and hand-cut the design. That's it! I love it, hope you do, too! 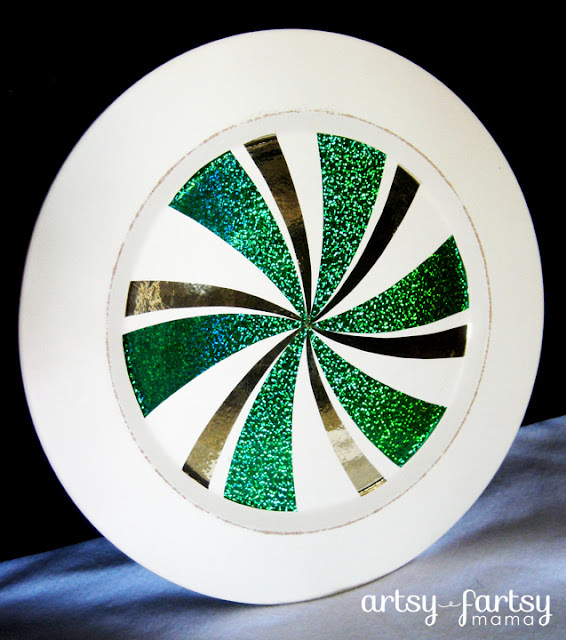 Would love for you guys to stop by Artsy-Fartsy Mama & say hello! I love meeting new bloggy-friends! Thanks again, Kelsey, for having me visit today!